The Florida Gators drop the first game in the series versus the Auburn Tigers 4-1. 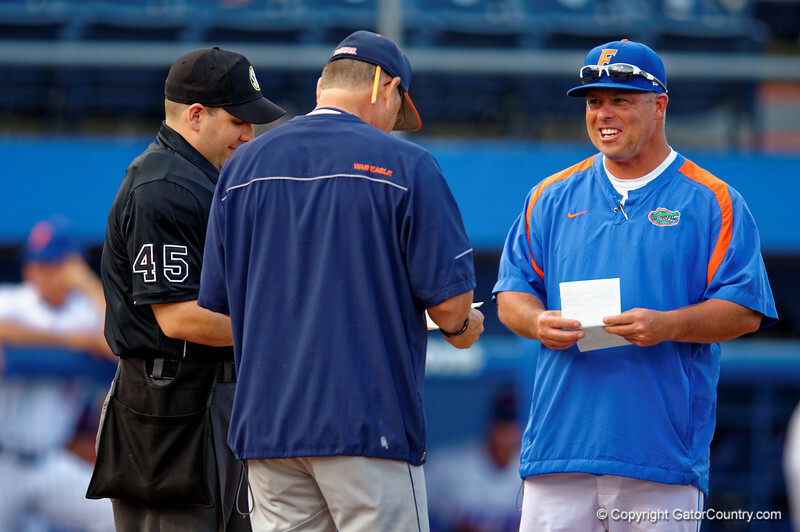 Florida Gators head coach Kevin O'Sullivan meets at home plate during Thursday nights loss to the Auburn Tigers 4-1. May 14th, 2015. Gator Country photo by David Bowie.